Written by two leading scholars in this fast-developing field, this exciting new text surveys the entire field of intercultural communication, presenting to undergraduate and graduate students the broad range of important themes, issues, and theoretical positions relevant today. In addition, the text treats the history of the field, covers important subjects like ethics and multiculturalism, and describes the way in which new advances in theory are starting to diverge from earlier emphases. In short, this is the broadest, most inclusive overview of the field of intercultural communication now available. The focus on theory not only allows students to examine all of the major schools of thought on the subject but also encourages critical thinking and asks students to “rethink” or reconcile contradictory theories that have emerged over the years. 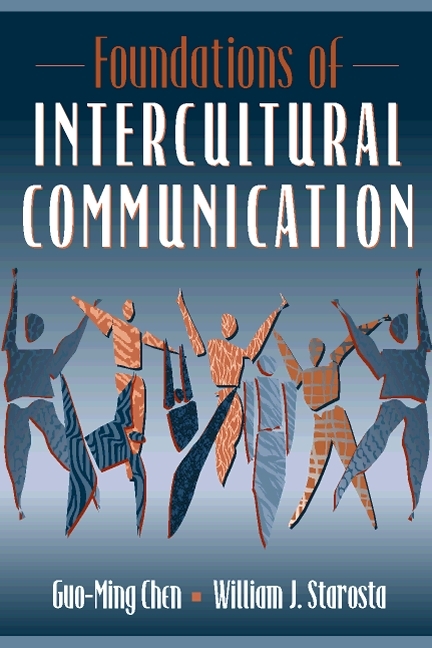 The coverage of ethics, unique to this text, asks students to consider the important social, philosophical, and human dimensions of intercultural communication. Chapter One provides a precise, coherent history of the study of intercultural communication, giving students a solid base of information on the subject. A chapter on training allows students to gain a number of practical insights that may be very useful to them in international post-graduation careers. “Research Highlights,” a recurring boxed feature, contains synopses of important contributions to the scholarly literature and is presented in digest form so students may easily understand an academic argument that has furthered our understanding of the field. A Short History of Intercultural Communication. Origins of Stereotypes and Prejudice. Models for the Study of Cultural Value Orientations. The Structure of Human Language. Cultural Value Orientations and Language Expressions. The Nature of Nonverbal Communication. The Structure of Nonverbal Communication. Intercultural Skills in Nonverbal Communication. The Nature of Human Relationship. Cultural Influence on Conflict Management. Effective Management of Intercultural Conflict. Culture Shock and Intercultural Adaptation. Perspectives on the Study of Intercultural Adaptation. Models for the Study of Intercultural Adaptation. Intercultural Listening as Qualitative Research. How to Listen Across Co-Cultures. The Challenge of Cultural Diversity. Managing a Culturally Diverse Workforce. Techniques for Diversity Management in Organizations. Stages of the Process of Multiculturalism. The Need for Intercultural Sensitivity. The Nature of Communication Competence. Approaches to the Study of Intercultural Communication Competence. Dimensions and Components of Intercultural Communication Competence. V.ETHICAL ISSUES AND THE FUTURE. 13.Ethics and the Future of Intercultural Communication. The Nature of Intercultural Communication Ethics. Principles of Ethical Intercultural Communication. Ethical Rules for Intercultural Communication. The Future of Intercultural Communication. Increasing or Decreasing Intercultural Contact. The Study of Intercultural Communication.